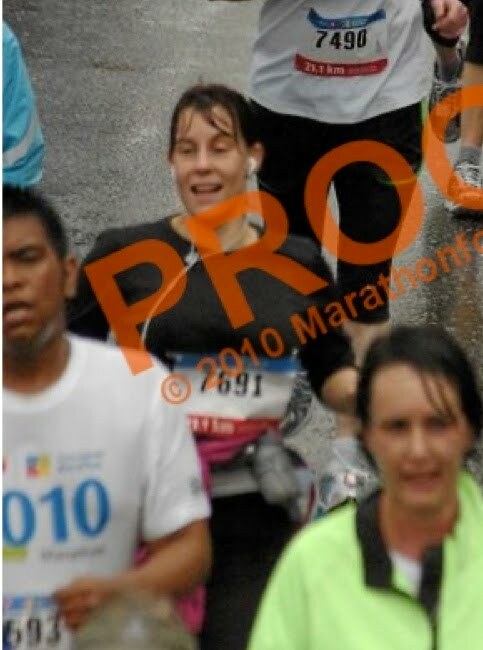 Here are the photo's from MarathonPhoto from the race. As I was on my own, these are the only photo's I have. 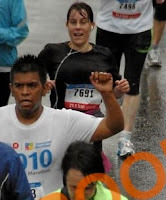 There will be one time I will take a decent race photo. For some reason, (probably because this is Vancouver), I am usually soaking wet. 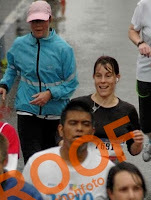 So I don't anticipate a decent race photo any time soon. Have a good laugh - if you some bizarre reason you want any of these photo's then go to MarathonPhoto. (I have mentioned this, so they won't be too Pee'd off at me for publishing them). I am doing them a favour by providing the proofs - saving you and them time! Lovin the smile and the rockin pink VFF!